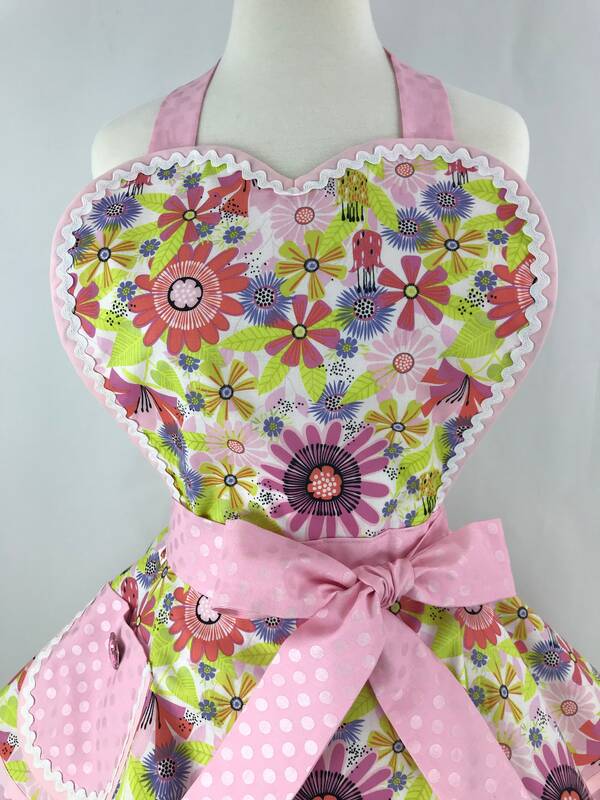 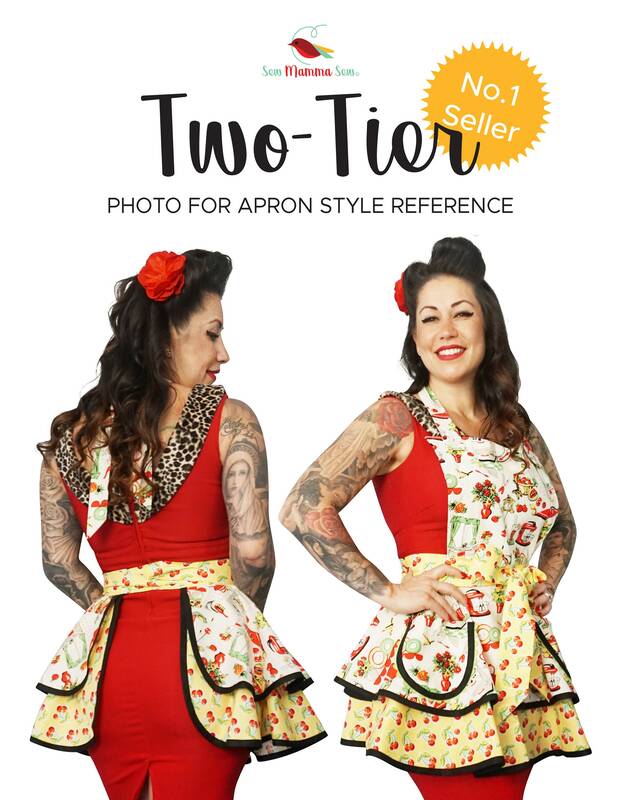 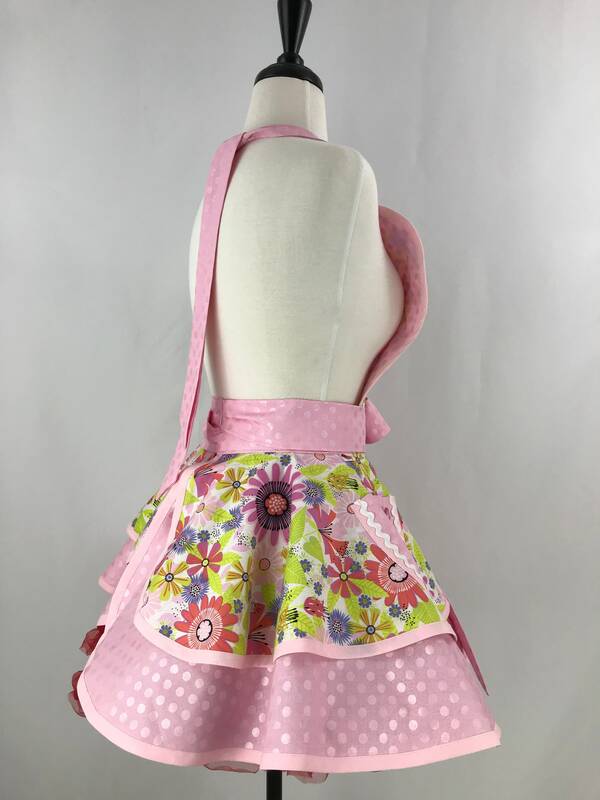 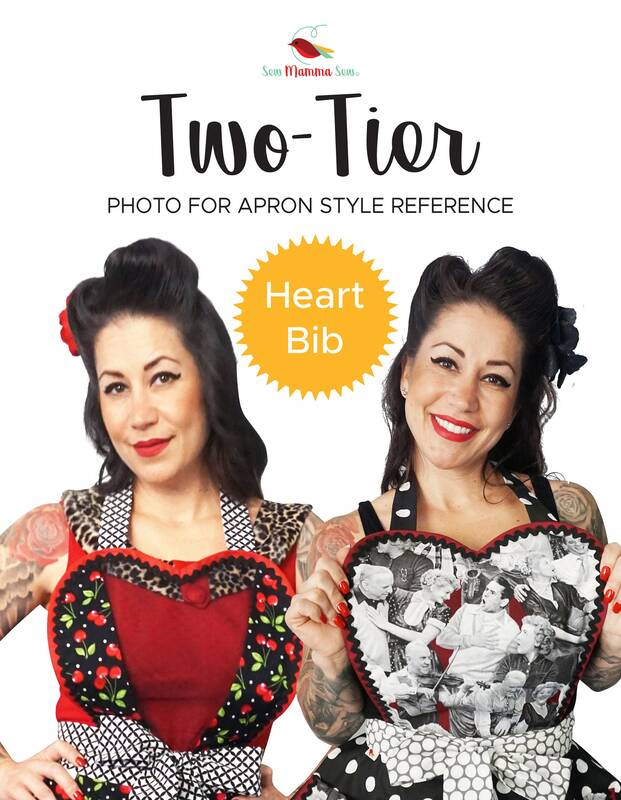 Super cute pink floral retro/pinup apron for pink lovers! 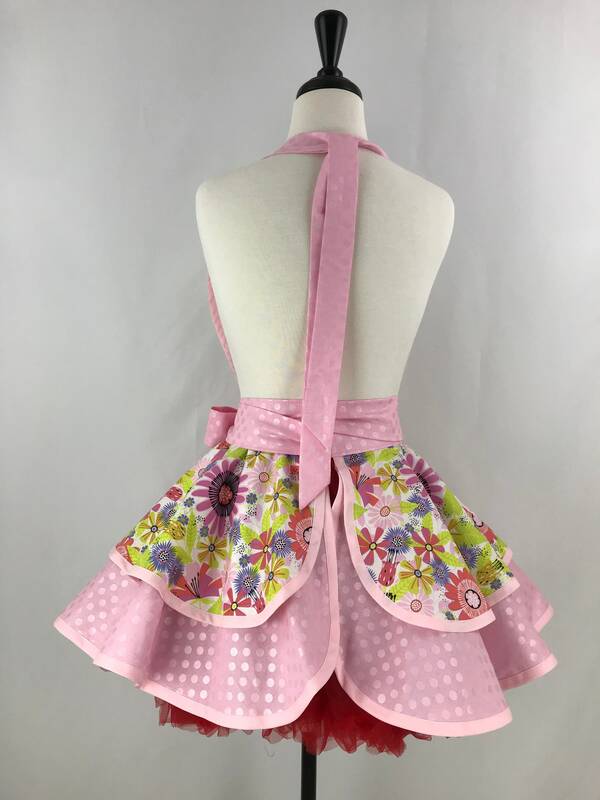 I've used a shimmery pink polka dotted fabric to accent the pretty floral print and trimmed the heart shaped bodice and pocket with pink binding and a white iridescent ric rac and a pretty pink button on the pocket, of course! 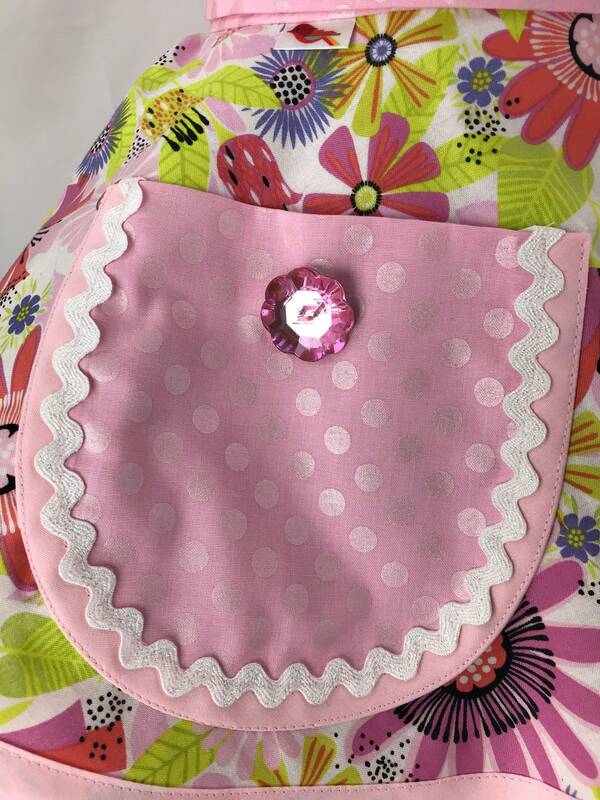 These are such soft and yummy pinks and blues and lime green colors mixed together for the perfect match! 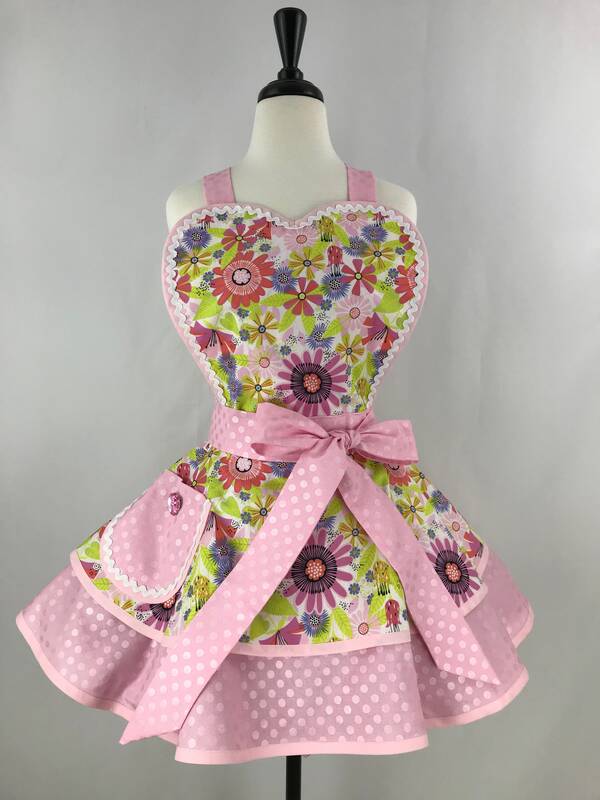 Add this to your collection or someone elses.